Recently, we got a quotation of 50mm Slackline from USA client, he need black color slacklines. 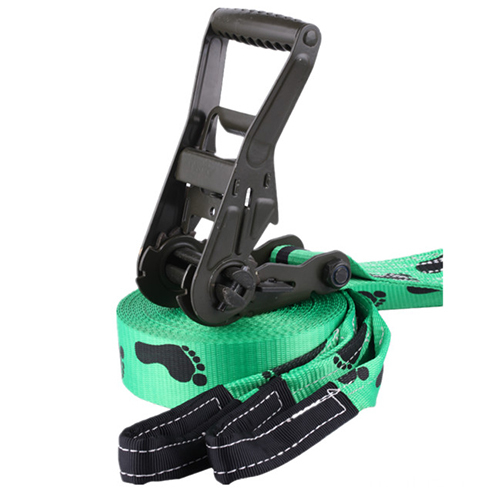 Welldo Tools' factory support you to build your own slackline and your own nrand. You can pick the accessories you want on our website or give us drawings. We will build your own slacklining according to your requirements. Inquiry：Hi I am desperately searching for someone who can ship slacklines individually to customers within the USA at a reasonable price. Do you have any information on this? thank you. Any color, any length, tree sheath, any different hooks, any quality, we can all meet your requirements. If you want bulk slacklines and get much more discount , please directly tell us your purchase plan and we will offer quotation to you ASAP.